Harrisburg, Pa., March 14, 2019 /PRNewswire/ -- TE Connectivity (TE), a world leader in connectivity and sensors, has introduced a sliding power connector. 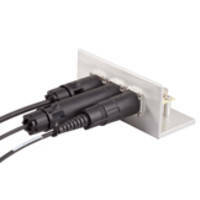 This is one of the only connectors of its kind that allows for hot swapping (serviceability) of components in a server drawer without shutting power down to the entire system. 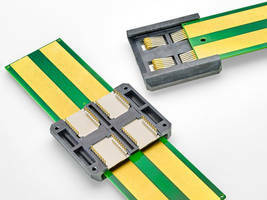 Designed for applications such as hard disk drives, power supply units, racks, servers, storage units and other high-current applications, the sliding power connector saves significant operational costs because it can reduce the need for system downtime that is normally required when swapping server drawer components. 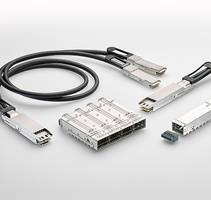 "Key server system components can fail, and when they do, IT professionals need a way to swap in new components quickly and efficiently," said Amy Wilson, product manager in TE Connectivity's data and devices business unit. "TE's sliding power connector addresses this requirement by minimizing the need for powering down the server during component replacement operations." TE Connectivity Ltd. is a $14 billion global technology and manufacturing leader creating a safer, sustainable, productive, and connected future. For more than 75 years, our connectivity and sensor solutions, proven in the harshest environments, have enabled advancements in transportation, industrial applications, medical technology, energy, data communications, and the home. With 80,000 employees, including more than 8,000 engineers, working alongside customers in approximately 140 countries, TE ensures that Every Connections Counts. Learn more at www.te.com and on LinkedIn, Facebook, WeChat and Twitter.